Mantri Serenity is a luxurious residential development by Mantri Developers, located at Kanakapura Main Road in Bangalore. This is an ambitious development that aims at offering spacious homes to those who wish to celebrate the classy and sophisticated living experience with their loved ones. It is about life- Calm, Leisurely and Relaxed. The housing development brings back the magic of those lovely days of family reunions, celebration and togetherness for the residents. Widely spread across 41 acres of land, project consists of 6 blocks each of which has 22 floors. The Phase 1 of the project was already completed in May 2015, while the Phase 2 is expected to be completed by the end of December 2017. The Phase 1 apartments are ready to move and you can visit the site if you really wish to enjoy the superior quality of work done inside and the luxuries offered in each apartment. There are 2 and 3 BHK apartments and 3 BHK penthouses, ranging from 1025 sq. ft. to 2060 sq. ft., well equipped with superior quality interiors and smart fittings. The master plan of this township is designed keeping in mind all the expectations of the residents. The layouts are well-planned with efficient usage of space and free circulation of air and natural light in all the apartments. All of these homes are Vaastu-compliant and earthquake-resistant. 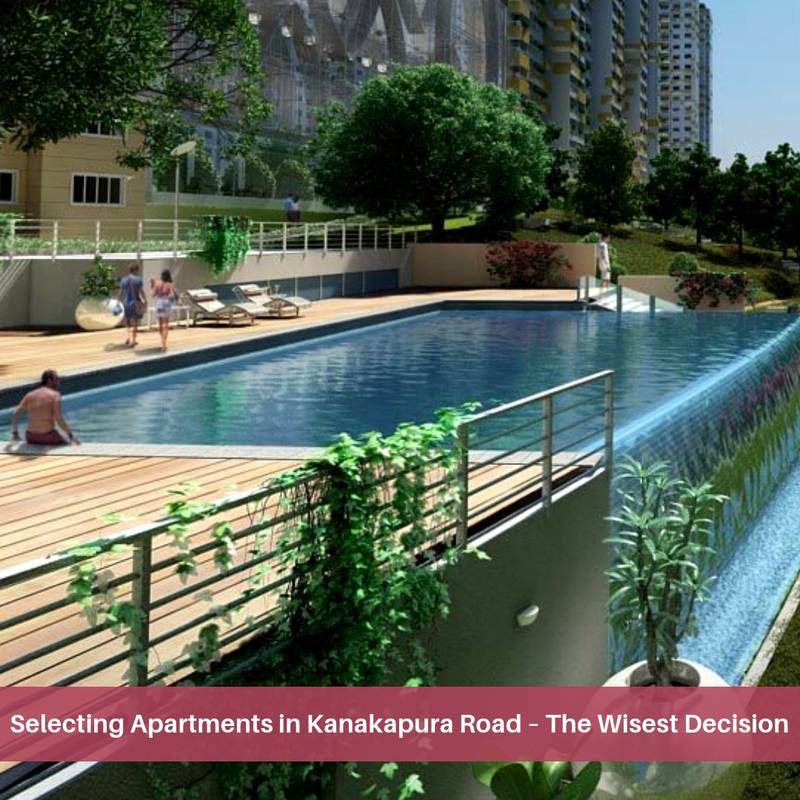 2,3 BHK flats for sale in Kanakapura Road Bangalore at Mantri Serenity brings all the joys of life at your door-step. It is one of the finest projects at this location that will surely make you feel that you are in heaven which is full of natural beauty and serendipity. 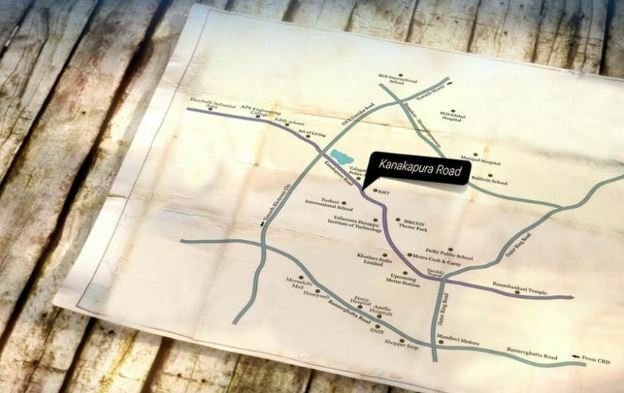 The Kanakapura Road passes through all the major busting localities of South Bangalore like Banashankari, Outer Ring Road, and some periphery regions like Konanakunte, JP Nagar and parts of Uttarahalli. The locality is witnessing huge growth because of the setting up of the offices of major IT companies here . Excellent connectivity to all the major parts of the city has also led to the growth of this area, making this project a better investment option. 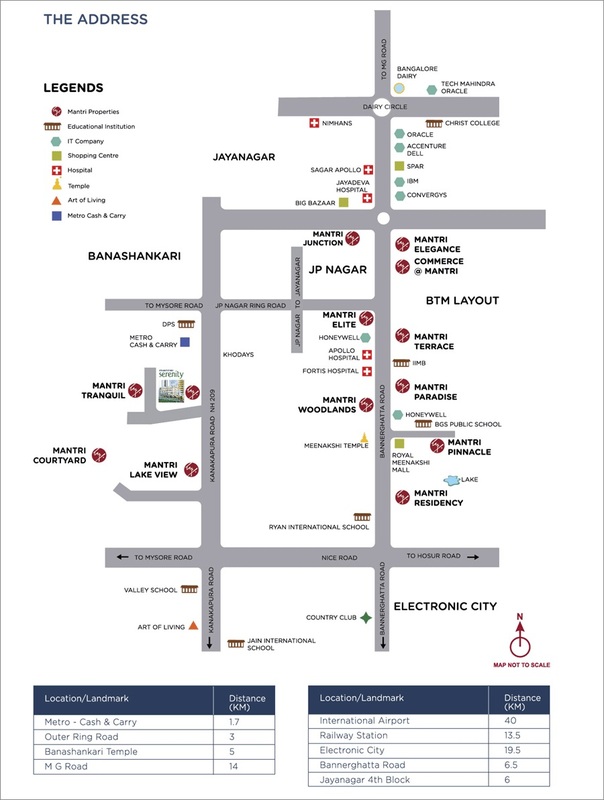 The development is in close proximity to the leading institutes, colleges, schools , IT companies, shopping complexes, markets and medical facilities. Whether it is shopping, schools at walking distance, eating out with the family, or enjoying the nature, the township offers everything to live a luxurious and comfortable lifestyle. Serenity by Mantri Developers welcomes you with open arms to immerse yourself in a life that is full of luxury, elegance and comfort. Mantri Serenity price is starts at Rs. 59.90 lakhs and goes up to Rs. 1.76 crores, depending on the configurations of the apartments. These homes are thoughtfully planned and capable of providing all the luxuries that you have ever imagined. Windows - Powder coated aluminium or UPVC sliding windows with plain sheet glass and provision for mosquito mesh. 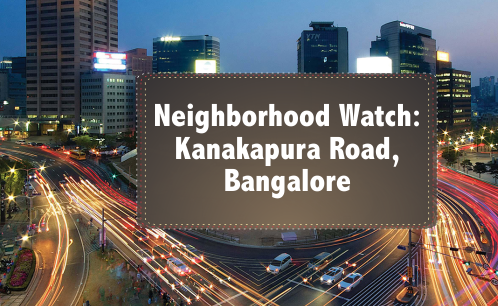 Located at Kanakapura Main Road, Bangalore.